MacKenzie Rivers seems like she has it all figured out. She has great friends, she's doing well in school and her handsome ex-boyfriend is desperate to win her back. But something is missing from her life in Windsor, Colorado. And as much as she hates to admit it, that something might be Jaden Hunter. Tall, blond and athletic, a year ago Kenzie was falling fast for him and his crooked smile. Twelve months later, everything has changed. A tragic accident has destroyed Jaden's family and, despite the way she feels, Kenzie has no idea how to talk to him anymore. She is all too familiar with the impact family tragedy can have on the people she loves, and she can't bear to go through it again with Jaden. She does the only thing she knows how to do: walk away. When the pair meet again by chance one night, Kenzie realizes that she can't ignore her feelings for him any longer. But as she is drawn back into Jaden's life, she finds herself caught between her increasingly volatile best friend, her interfering ex-boyfriend and her own fears about opening up to Jaden. Will Kenzie dare to fall for the one person she's so afraid of growing close to? Estelle Maskame started writing at the age of 13 and completed her DIMILY trilogy when she was 16. She has already built an extensive and loyal fanbase for her writing around the world by sharing her work in instalments on the digital platform Wattpad. The DIMILY trilogy has now been published, with rights sold in 14 territories and becoming an international bestseller. Estelle won the Young Scot Arts Award in 2016, and has been shortlisted for the Young Adult award at the Romantic Novel of the Year Awards. 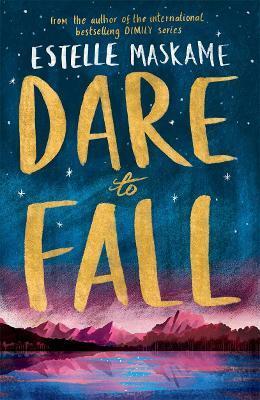 Dare to Fall is Estelle's first novel following the success of the DIMILY trilogy.